Periodontal disease is an extremely serious progressive condition which can lead to tooth loss if left untreated. Periodontal disease occurs when a bacterial infection in the gum pockets causes the bone and gum tissue to recede away from the teeth. The quality and quantity of bone and gum tissue is greatly reduced as the gum pockets continue to deepen. Fortunately, prompt diagnosis combined with effective regenerative procedures can halt the progression of the disease and save the teeth. There are many regenerative dental procedures available to restore health to the gums, bone and teeth. The following are the most commonly used regenerative procedures: Bone Regeneration Dental implants and other restorative procedures depend on the jawbone being sufficiently strong and thick. When periodontal disease has taken hold, the jawbone may have become too thin to successfully support an implant. Natural bone regeneration (or bone grafting) is one of the best ways to promote growth and thicken the jawbone. Initially, bone grafting material is obtained from elsewhere on the body or from a bone bank. The gums are gently pulled back, and an opening is made in the jawbone where the grafting material will be packed in tightly. A membrane is used to maintain the shape of the new bone, and tissue stimulating proteins and a platelet-rich growth factor may be applied to promote faster healing. The surgical site will be sutured and packed with protective material. The bone will naturally regenerate and become strong enough to eventually support an implant. Gum Tissue Regeneration Gum tissue regeneration is usually performed by way of gum grafting. When gum tissue has been lost as a result of periodontal disease, the smile may appear discolored, toothy or unpleasant. A gum graft aims to symmetrically contour the gum line, cover any exposed tooth roots and restore health to the gums. Initially, a small strip of tissue will be removed from the roof of the mouth and placed in the middle of a split-thickness incision at the recipient site. The surgical site will be covered with a protective membrane which promotes tissue regeneration, covered in platelet-rich growth factor and tissue stimulating proteins, and then sutured closed. The soft tissue surrounding the teeth will naturally regenerate, producing a healthy, smile. Pocket Reduction Surgery The aim of pocket reduction surgery is to reduce the depth of the gum pockets and make it much harder for bacteria to invade the gum tissue. Initially, the gum tissue is pulled back from the teeth and the subgingival area is thoroughly cleansed under local anesthesia. Extensive scraping may be required to fully remove the plaque, debris and tartar from below the gum line. An antimicrobial agent may then be applied to the affected area to kill any remaining bacteria, and the surgical site will be sutured closed. Pocket reduction surgery is very effective for halting tissue loss and promoting the natural healing of the gums. Scaling and Root Planing The term “scaling” refers to the removal of plaque and calculus (tartar) from the supragingival region (above the gum line). This treatment is usually conducted in the course of a routine professional cleaning, and performed under local anesthetic. Root planing usually accompanies scaling and is performed in the subgingival region (below the gum line). Tartar and toxins are initially removed, and then the tooth root is smoothed down to promote good healing in the gum tissue. The planing of the tooth root provides a smooth area which prevents bacteria from recolonizing. If these procedures do not completely eradicate the infection, surgical measures may be required. 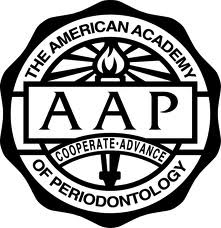 If you have any questions about regenerative procedures or periodontal disease, please ask your dentist.